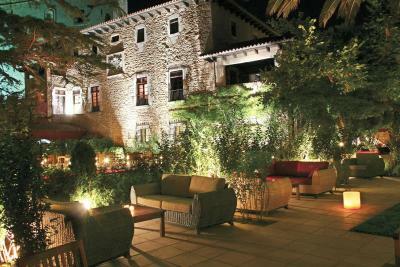 Lock in a great price for RVHotels Hotel Palau Lo Mirador – rated 8.6 by recent guests! Hotel Palau lo Mirador is a very unique hotel. 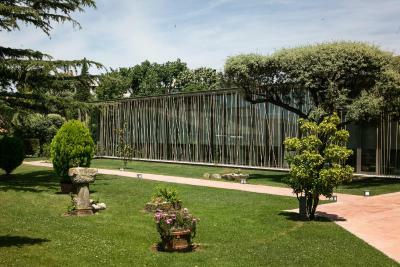 The building is beautiful, as are the gardens. 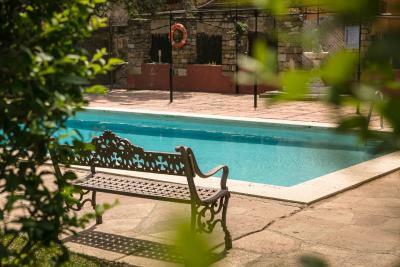 It's worth mentioning that there is an outdoor swimming pool (though we didn't get to use it as it was November and a bit cold for that!). We appreciated the huge room and bathroom. The staff were very welcoming and made us feel at home. 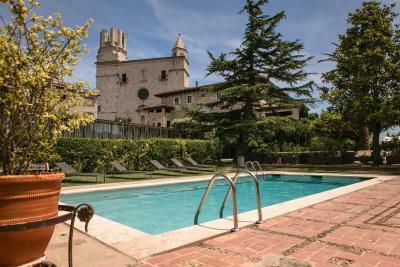 The hotel is in a great location right at the heart of Torroella de Montgrí. Overall, it was a pleasant stay and I'd be happy to return. I was told in Israel that I would have free breakfasts. But when I got there, it wasn't the case. 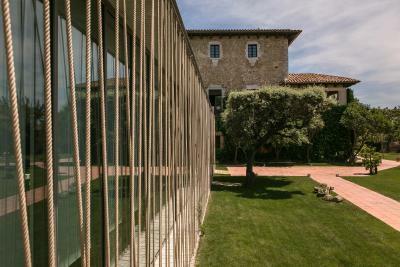 The building and the exterior space are spectacular. Where were Ferdinand and Isabella? Probably staying in their royal suite! 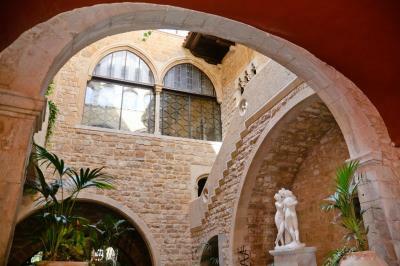 Historical and attractive building with good lighting and gardens, comfortable stay for 2 nights, good breakfast and free parking. 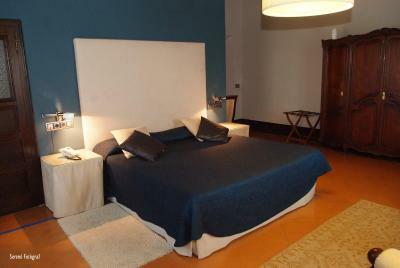 The ambience of the lovely old building but with carefully integrated modern comforts, especially the beds. Exceptionally good value table d’hote menu but would have liked some different options on subsequent evenings. Staff helpful, beautiful setting and surrounding grounds. 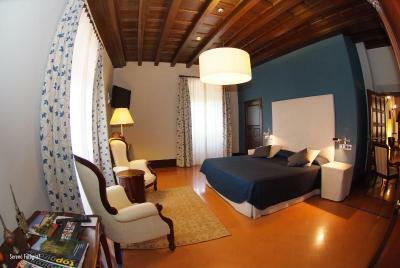 RVHotels Hotel Palau Lo Mirador This rating is a reflection of how the property compares to the industry standard when it comes to price, facilities and services available. It's based on a self-evaluation by the property. Use this rating to help choose your stay! 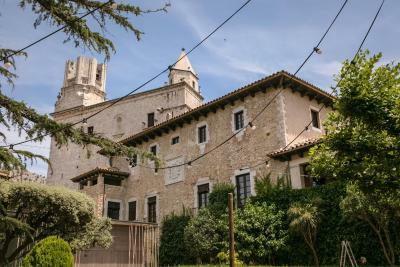 One of our top picks in Torroella de Montgrí.RVHotels Hotel Palau Lo Mirador is a restored 14th-century building in Torroella de Montgrí, in Catalunya’s Baix Empordà region. 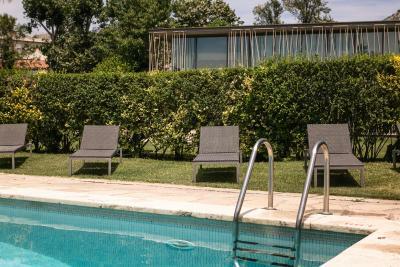 It offers free parking and beautiful gardens with an outdoor pool. 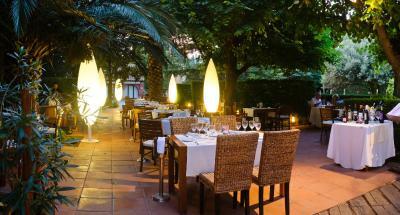 All rooms at the RVHotels Hotel Palau Lo Mirador are equipped with a TV, air conditioning and central heating. They feature restored antique furniture. The private bathrooms have a hairdryer. 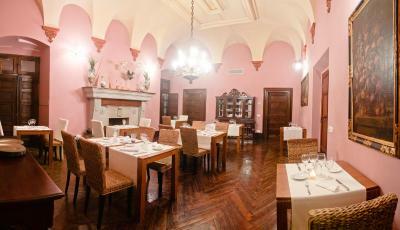 The hotel’s restaurant is set in a room with stone arches and a cobbled floor. 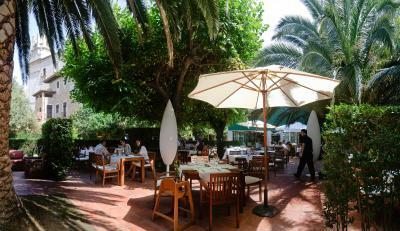 It serves Mediterranean food, using fresh, local produce. 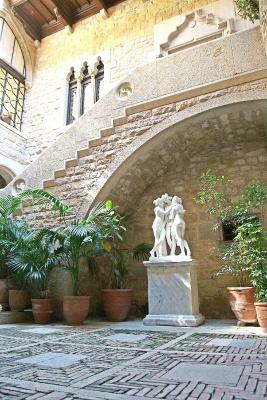 The Palau has a terrace. 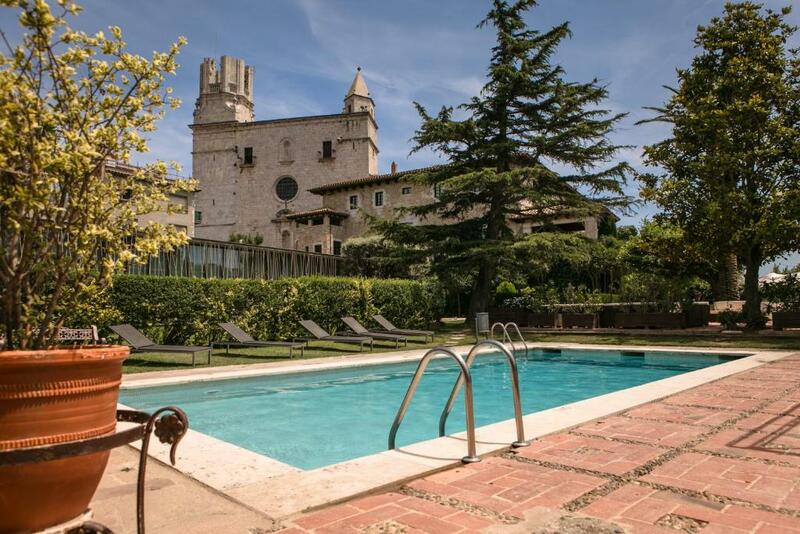 It also has a 24-hour reception and there is free parking available. A massage service in the room is available. 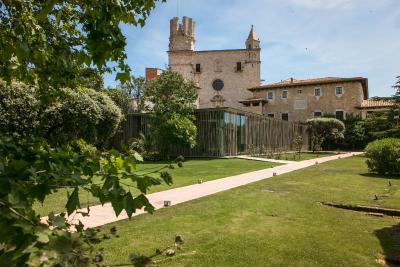 The beaches of Estartit are 3.1 mi from the hotel, and Empordà Golf Club is just 1.9 mi away. 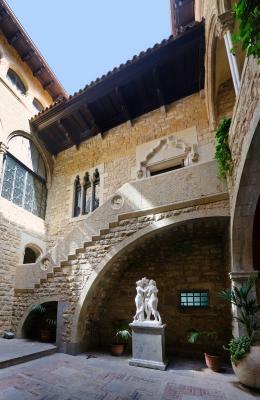 When would you like to stay at RVHotels Hotel Palau Lo Mirador? 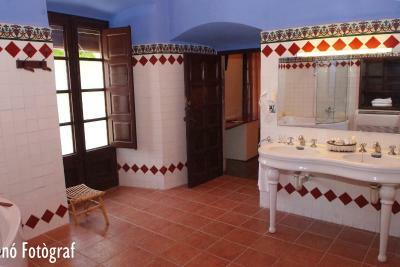 Includes an individual hydromassage bath and views of Palau gardens or town of Torroella de Montgrí. 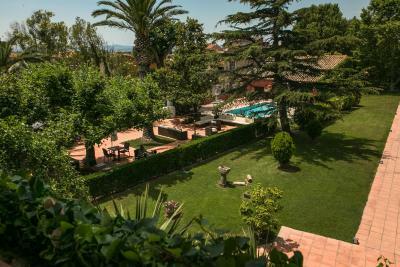 Includes an individual hydromassage bath and views of Palau gardens and town of Torroella de Montgrí. Maximum one extra bed or baby cot in this room type. This room has a TV with satellite channels, electric kettle. The bathroom features a single hydro massage bath. 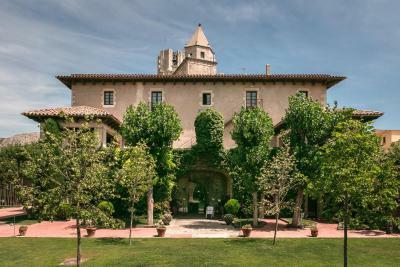 Includes an individual hydromassage bath, separate living room and views of Palau gardens or town of Torroella de Montgrí. Maximum 2 extra beds and 1 baby cot in this room type. RV Hotels offers a large variety of tourist accommodation, always offering the best price. 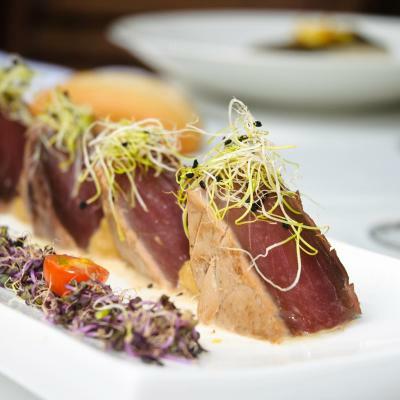 Making that your holidays is synonymous of tranquility and comfort. Whatever location you choose for your vacation, we offer a direct and efficient service guaranteeing and an unforgettable holiday. 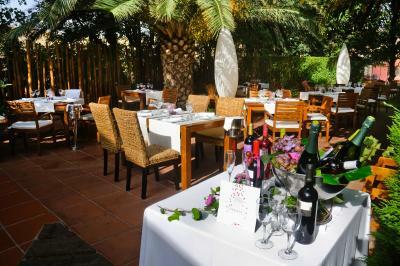 House Rules RVHotels Hotel Palau Lo Mirador takes special requests – add in the next step! RVHotels Hotel Palau Lo Mirador accepts these cards and reserves the right to temporarily hold an amount prior to arrival. Entrance/parking bit hard to find. The bar was not open so we had to out for a drink before dinner and the town was very quiet with no suitable bars open. We did without and enjoyed the walk before a lovely dinner at hotel. Everything was gorgeous, thank you! We didn't like the adjoining door to the next room. It meant we could hear other guests more easily. Also, the bathroom was a bit smelly (old pipes?) and the shower was a little on the weak side. Not having lifts as can be a struggle to lift luggage to the second floor. The bedroom's decoration was a little tired. There was an occasional smell of drains, from the bathroom. The bedrooms were quiet. The beds were comfortable. The dining room and all the downstairs facilities were very smart. The upper floors seem to be inaccessible to limited ability customers, no lift bit of a treck with luggage. Bed in our room (3) too small. Rooms adjacent made other residents distinctly audible. Internet was a little flakey in Room 7. 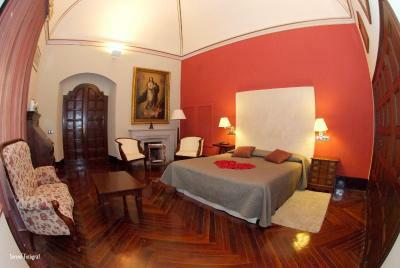 Wonderful room, great dinner, excellent breakfast, superb staff!